Bill Anderson won 1st Place National Champion in the Sam’s Club National Finals for his brisket in October 2013. Winning philosophies are as numerous as the grains of sand on a beach. Some work better than others. 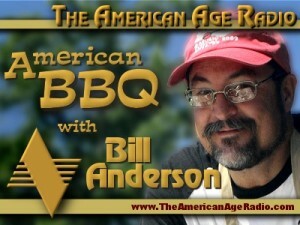 Bill Anderson‘s philosophy is “speak softly and cook the best barbeque”! Whatever the winning combination is, it works. Bill Anderson has been BBQing for 30 years and has that Southern, friendly charm that does not seem to go along with a serious competitor. However, his Southern Gentleman demeanor does appear to be essential among his arsenal of fiery arrows in his barbeque warrior quiver. 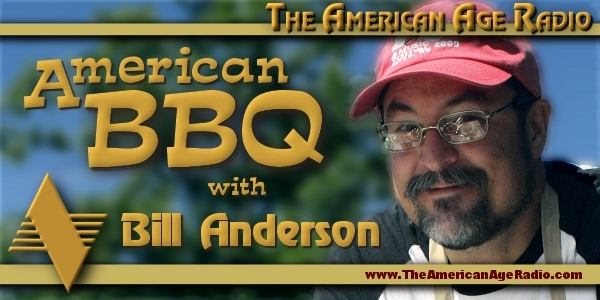 Bill joined us on The American Age Radio from his home in Savannah, Georgia to talk about preserving the history of American BBQ, from where American BBQ came and where it is going. It is an interesting conversation on barbeque history, BBQ styles and some fun moments talking about the culture of barbeque and the barbeque competitions. … continues to be a best seller to weekend warrior backyard BBQers, new competition teams and serious competitors in the world of barbeque. We also were able to pick up a few great tips on the show for making better BBQ in our own back yard! Some tips were quite clever and some were surprising. Bill makes his full time living in the world of barbeque. He doesn’t own a barbeque restaurant, but he literally wrote the book on BBQ. 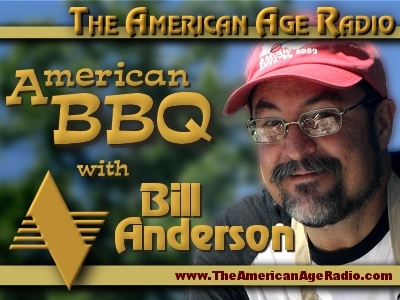 Bill Anderson saw a need for a real, go to manual for making better barbeque. His book, “Competition BBQ Secrets”, has become a best selling book that is not only consulted by serious competition teams, but also greatly accepted by “weekend warrior” barbeque fans in droves. 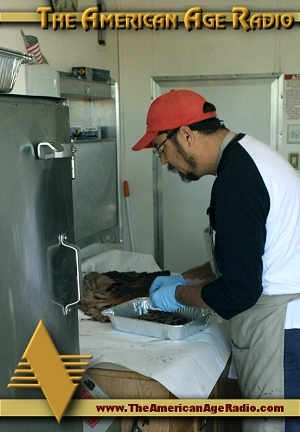 Bill began competing in this new culture of BBQ competitions in 2006 with the Chatham Artillery BBQ Team. They have won a lot of competitions in the Southeast. These include Grand Championships in Albany, GA (FBA), and KCBS Grands in Daytona FL, Kennesaw GA, Greenwood SC (Food Network Challenge Episode), Dillard GA, Lyons GA, and back to back wins in one of the biggest contests on the East Coast – Tryon NC. Bill acknowledges that there are other teams out there with bigger and louder mouths than they have. Bills’ team would rather let their BBQ speak for itself. One can search far and wide and still have a hard time finding another team who has a higher win percentage in the professional competitions. Bill’s team only enters around 10 or so contests a year. This means they cannot qualify for “Team of The Year” points chases. With his busy schedule and his books, video coaching and other BBQ oriented offerings he has to hustle to get it all in each year. Most teams have to cook 30 to 40 contests a year to win 4 Grands per year. Their competition team specialty is the Kansas City Barbeque Society (KCBS) contests in the four categories of chicken, ribs, butts, and brisket. 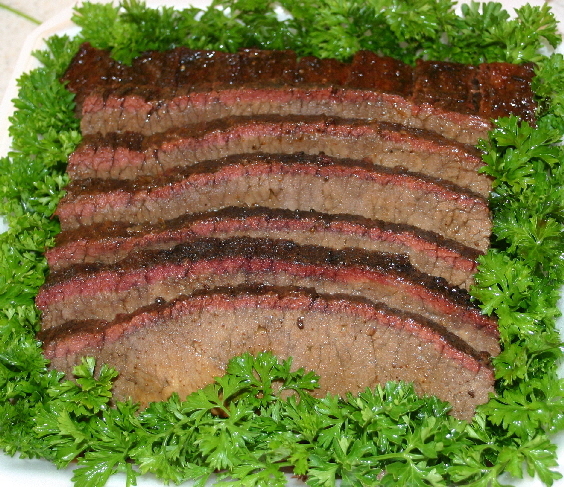 Speaking of Bill Anderson’s brisket – the Host and Production Manager of The American Age Radio were treated to a sample of his brisket at Bill’s team position at a recent competition as it was prepared for the judges. It was simply marvelous and the by far best we have ever tried! 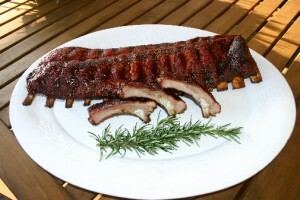 And we have plenty of experience tasting competition barbeque. It was unbelievably good!